In My Grandfather's Blessings, Rachel Naomi Remen, a cancer physician and master storyteller, uses her luminous stories to remind us of the power of our kindness and the joy of being alive. Dr. Remen's grandfather, an orthodox rabbi and scholar of the Kabbalah, saw life as a web of connection and knew that everyone belonged to him, and that he belonged to everyone. He taught her that blessing one another is what fills our emptiness, heals our loneliness, and connects us more deeply to life. Life has given us many more blessings than we have allowed ourselves to receive. My Grandfather's Blessings is about how we can recognize and receive our blessings and bless the life in others. Serving others heals us. Through our service we will discover our own wholenessand the way to restore hidden wholeness in the world. 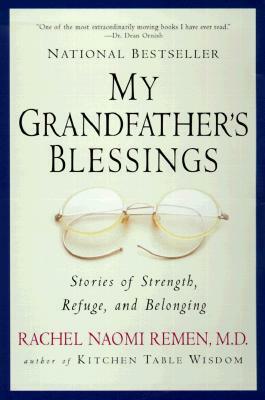 "The stories in My Grandfather's Blessings are simple and profound, with healing lessons for all of us. "—Andrew T. Weil, M.D.